These advanced modules are the core curriculum in becoming a Joy Coach. These modules will teach you the essentials in using and applying “The Song and Scent” method with the “Nine Point Touch” method in your relaxing sessions. Throughout these modules you will begin to explore the beauty of combining all five senses with music and aromatherapy with therapeutic touch. These courses will broaden your understanding to nurture individuals in your community. We will dive into the mysteries of mending broken hearts with music and the power of individual essential oils spiritual-emotional-intellectual personalities. Through out these courses you will begin to see new ways to nurture your community. These modules also support you in building a clientele and establishing yourself as a relaxation therapist and Joy Coach. The purpose of this workshop series is to teach facilitators how to incorporate the use of kinesiology, music, massage and aromatherapy into an emotional clearing experience that will assist clients in identifying lower vibration-emotions and transforming them into higher vibration emotions through the power of nurturing, compassion, empathy and kindness. The purpose and desired outcome of this workshop series is to identify one’s own Positive Core Identity and to separate the negative energies that are “wrapped around” negative self-talk, limiting thinking and belief systems about oneself/client. In this module, we focus on identifying hidden strengths, gifts, natural talents and abilities and accessing and accepting sense of divinity and one’s purpose as “Destined to Succeed”. This series assists facilitators/parents in reconnecting with the needs individuals/children who did not/do not have their needs met as a child (or beyond). The goal is to correct, interact and connect, compassionately with children who stand in need of having unmet needs met, through an increase of TLC, tenderness, love and compassion. The purpose of this workshop series is to provide pertinent information about “The Ancient Legacy” of the use and history of music, aromatherapy, anointing practices and all other various facts pertaining to the healing arts that have been passed down to us as a legacy of love through the generations. This series is intended for those who wish to learn for themselves and for those who wish to learn in order that they might teach others through home gatherings, bible study groups, enrichment nights, webinars, podcasts and any other creative avenue that a facilitator chooses. “Creatively, Consciously, Connecting to Your Energy-Body”. This exciting course teaches each Joy Coach about a Christ-Centered Approach to Wholeness via Chakra Balancing. 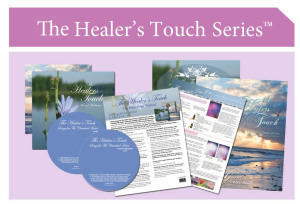 We will learn together, “The 12 Point Chakra System”, “The 12 Musical Meridians”, receive an overview of“The 7 Auric Field Layers”, “The Circle of Joy: Five Elements for Giving & Receiving The Pure Love of Christ” and more! This wonderful year-long webinar course is offered once a month and can be joined at any time in the year. Once you have completed 12 sessions, you will receive a Certificate of Completion and will become a Certified Grief Coach. Each month you will participate in a webinar class, receive a PDF manual for inspiring your own “Scripting Process” while gaining a deeper appreciation for journaling as you devote time between classes to “Express Your Heart”. Purchase the complete Advanced Modules Joy Coaching Curriculum all at once for a significant savings. Must be paid in full before classes start.